If a high level of client service is what you want then Troy is the agent for you. Having a background in marketing and life-long love of property meant Troy’s transition to real estate in 2005 was seamless and successful. Troy possess the ability to identify key attributes and provide effective marketing strategies to best suit your property in the current real estate market. It is this broad prospective that allows Troy to provide every client with the most authoritative and informed advice. Highly motivated with a strong work ethic, coupled with his down-to-earth disposition, Troy works honestly and with integrity ensuring consistently professional service. A testament to his skills is the continuous referral and repeat business he receives from very happy clients who have experienced his services. Priding himself on a professional attitude and absolute dedication to his clients, Troy’s goal at Elders is to offer service second to none. Would you like to speak to Troy? 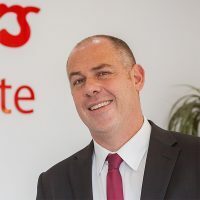 If you’re thinking about renting or selling your property and you’d like a clearer picture of how much your property might be worth or want to have an informal chat about general property market trading conditions, Troy will be happy to arrange a full market appraisal of your property.